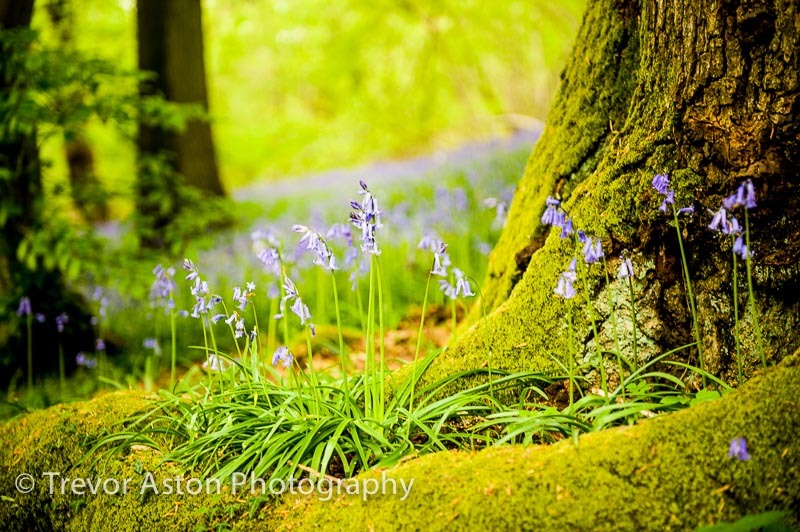 Photograph the Bluebells, they don’t stay for long! 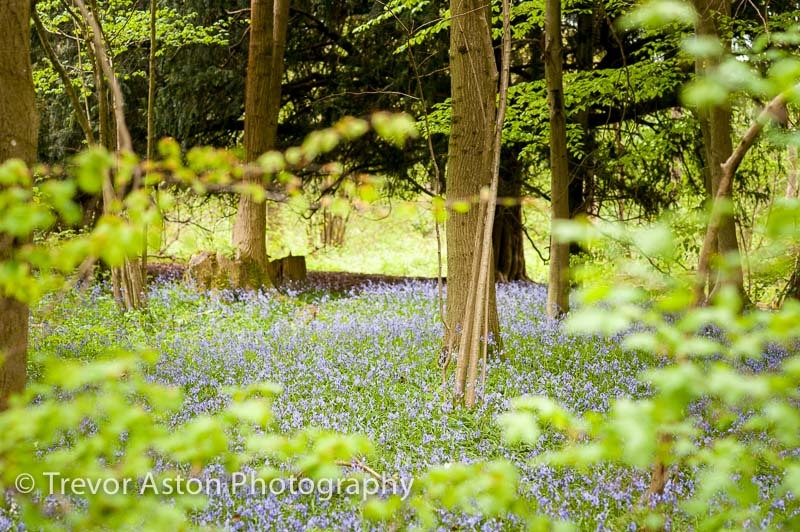 You have to love bluebells, they’re such a gorgeous colour, they grow in profusion and they don’t wait for the summer. Walking through a wood you come upon a break in the trees, daylight bursting over a blue carpet waving gently in the breeze. Bluebells are choosey about where they grow so you feel like you’ve stumbled upon a woodland secret. And now they’ve been discovered you know they won’t be allowed to stay too long. Best get the camera out and snap them up before the woodland reclaims them! To the eye the flowers might look densely packed, blending together into a tapestry. But the camera is not an impressionist; it’ll capture the gaps between them just as vividly as the flowers. So get the camera down low, then the heads of the bluebells will be close together in the picture. Don’t worry if there’s lot’s of empty frame above them, you can always crop it closer. 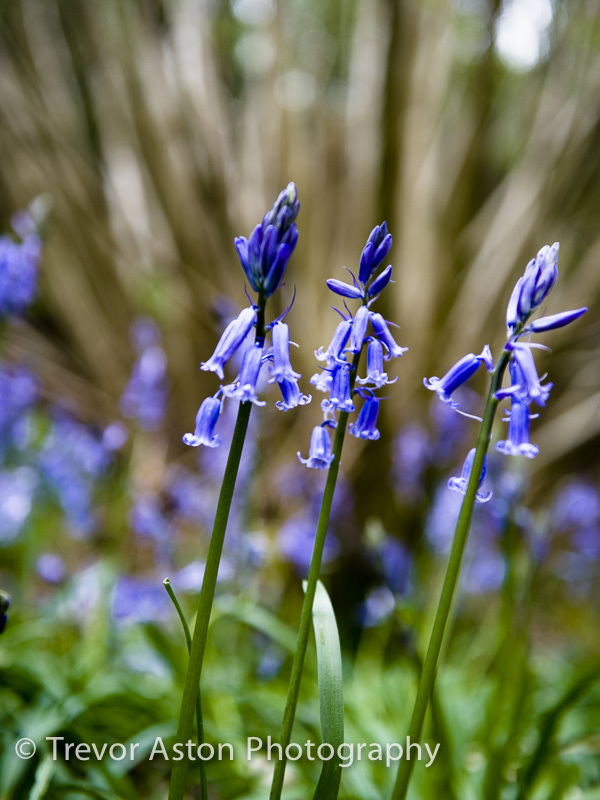 So, if one shot is of the bluebells as a continuum, another is a blue bell photographed in close-up. Use the camera’s ‘macro’ mode if it has it and get in as close as you can. Look closely at the woodland floor; things like gnarled twigs, pinecones, fronds of grass or bits of rotten branches can be composed into your image to frame the flowers or draw the eye into them. Don’t leave your pictures of bluebells to moulder on the memory card, share them and share the joy! This entry was posted in advice, photography.